The Uberscoot 1600w is the most powerful electric scooter we carry. Featuring an economy mode button to slow down acceleration and top speed to conserve battery life for those long rides. 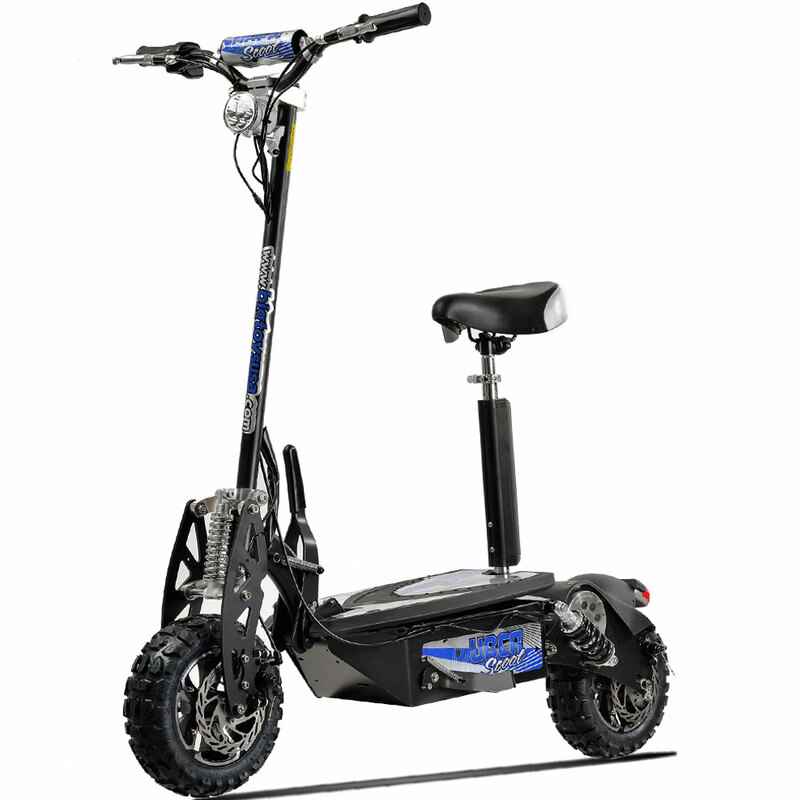 Powered by 48 volts and a 1600 watt motor, there won't be a hill you can't conquer! Comes standard with a quick release seat, foldable locking frame, front and rear lights, large 11 inch knobby onroad/offroad tires and key ignition, this scooter does not disappoint!